The decision of Commissioner Tuor in Rickard Road Developments Pty Limited v City of Ryde; Mansooreh Rahimishahmirzadi & Anor v City of Ryde  NSWLEC 1104 that was handed down last week provides interesting commentary on the unusual circumstance where two adjoining sites are the subject of independent development applications, and where the landowners refuse to amalgamate the sites or lodge a single Development Application. While the landowner’s refusal to amalgamate or lodge a single Development Application was not considered determinative, it was clearly one of the factors in the Court’s mind. What turned out to be critical was the failure to provide adequate setbacks to surrounding properties, and the Applicants’ failure to adequately apply the ‘rule of thumb’ in the Residential Flat Design Code. I was the solicitor for the Respondent on the day to day carriage of this matter, and the first thing I noticed about the sites was that it was a locality undergoing transition. To the South, the Top Ryde Shopping Centre book ends one end of Smith Street, and then as you proceed down the street, there is a mix of dwelling houses, professional consulting businesses, and new and old residential flat buildings, including one under construction next door. The development applications for the sites were lodged within five months of each other. The first development application for the Rickard site at 7-9 Smith Street was refused, while the second development application for the Mansooreh site at 11 Smith Street was deemed refused. Both proposals could have been built independently with a party wall proposed along the common boundary of the sites. However, each proposal relied on a single vehicle entry to the basement carpark. The Rickard Development proposed the following unit mix: 4 x 1 and 12 x 2 bedroom. The Mansooreh development proposed the following unit mix: 1 x 1 bedroom with home office, 2 x 1 and 13 x 2 bedroom. The Mansooreh proposal on 11 Smith Street also included the provision of vehicular access to the carpark through the adjoining property (7-9 Smith Street) by way of a right-of-carriageway to be registered over that land. On this point, we made submissions on behalf of the Council that a condition of development consent could be imposed only on 11 Smith Street requiring a right of way (as the means of access) to burden 7-9 Smith Street. However, we rejected the proposition that a condition could be imposed on 7-9 Smith Street requiring it to provide such access to 11 Smith Street, given it had basement car parking, vehicular entrance and exit included as part of its application. Ultimately, these points were not decided by the Commissioner. 41 The RFDC provides additional detail and guidance for applying the design quality principles and under cl 30(2)(c) of SEPP 65 it must be taken into consideration. To ensure that new development is scaled to support the desired area character with appropriate massing and spaces between buildings. To provide visual and acoustic privacy for existing and new residents. To control overshadowing of adjacent properties and private or shared open space. To allow for the provision of open space with appropriate size and proportion for recreational activities for building occupants. To provide deep soil zones for stormwater management and tree planting, where contextual and site conditions allow. Allow zero building separation in appropriate contexts, such as in urban areas between street wall building types (party walls). The Respondent’s Town Planning and Urban Design experts considered that under the RFDC a greater setback than 3m should be provided to the boundaries of the neighbouring allotments surrounding the two sites. 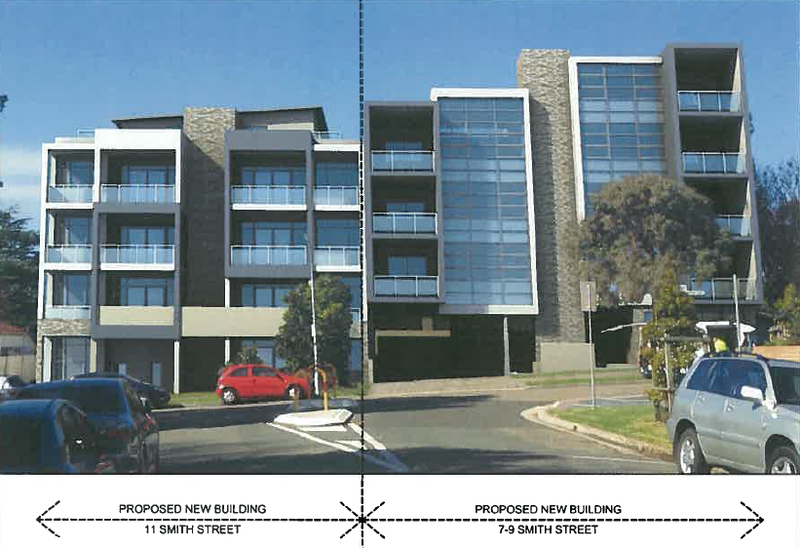 The Council’s experts accepted a “compromise” setback of three metres but that was the minimum acceptable setback for a four to five storey building. Commissioner Tuor agreed that the setbacks proposed by the Applicants were inadequate (e.g 2m rear setback and 2.64m front setback). The Commissioner also commented that the “zero setback” between each of the sites relied on each site redeveloping in the form proposed. 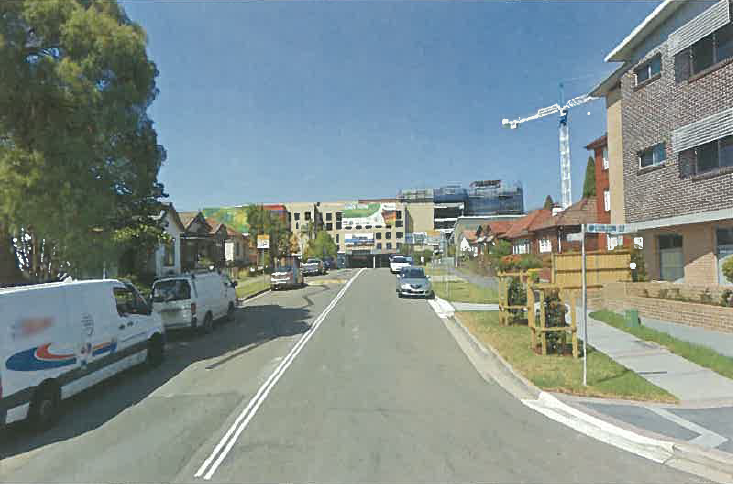 However, Commissioner Tuor noted that if the development of 11 Smith Street was not to proceed, a blank wall built to the boundary of the two sites which would “present an unacceptable visual bulk and would constrain the future development” of the sites. Development involving adjoining sites where the owners refuse to amalgamate or lodge single development applications needs to be carefully considered. It is more complex for planning authorities who need to assess each proposal on their own terms. Issues such as borrowed amenity need to be carefully considered, as one development may proceed while the other lies dormant. In this case it was clear a consolidated development would have been far simpler to assess, and would have removed many of the problems brought about by the approach of the Applicants. Having said the above, this issue was not determinative. What was determinative was the inadequate setbacks provided and the failure to properly address the rules of thumb in the residential Flat Design Code.